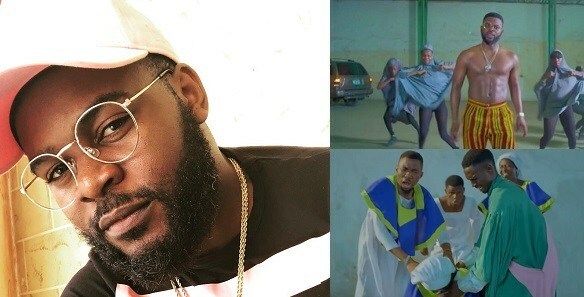 Shortly after the Muslim Rights Concern (MURIC) asked Folarin ‘Falz’ Falana to withdraw his ‘This is Nigeria’ video, a group known as Muslim Against Terror has defended the artiste. The group says MURIC does not have an understanding of veil usage. In the video, girls wearing hijab are seen dancing ‘shaku shaku’, hence the controversy. While addressing the reactions that trailed the video, Falz had explained that the girls were a representation of the abducted Chibok girls still in Boko Haram captivity. In a statement countering that of MURIC, Muslim Against Terror asked if Ishaq Akintola, director of MURIC, would “prefer watching the ladies in the video dressed in body-hugging mini skirts and shaking their bountiful parts?? It read: “In clear contradiction to what MURIC’s Professor Ishaq Akintola claimed, Islam or Muslim was NEVER mentioned in the video and the veil is not owned by Islam but worn by anyone who so feels, hopefully to the pleasure of Muslims and worn by nuns and sometimes forcibly doused by terrorists on their captors as happened in the Chibok case. Instead of threatening Falz with legal action, the group urged MURIC to focus on the issues raised in the video. The group urged that MURIC be careful of the propagation of sensitive messages.